The idea of a barbecue station is to cook meat relatively quickly using the direct heat imparted by a charcoal based fire. 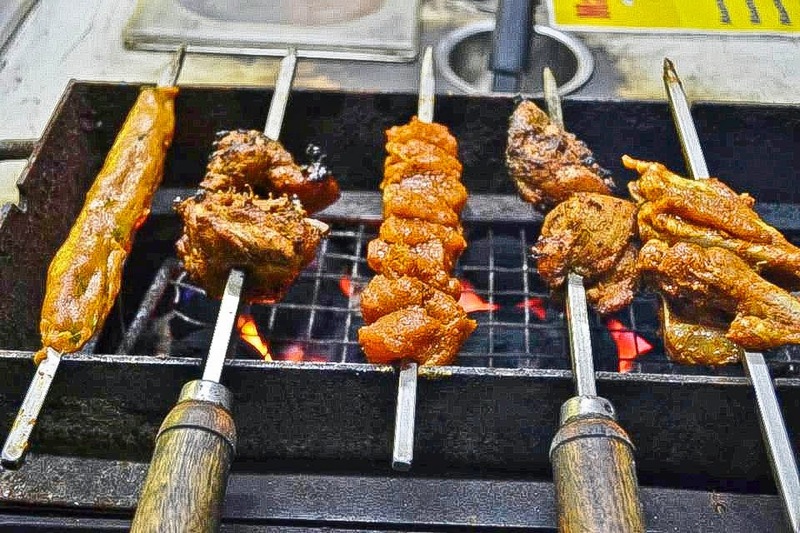 Like any other city, Hyderabad too has many restaurants which offer live grills on the table but the high demand for barbecued dishes has made these items very expensive and not affordable for daily dining. 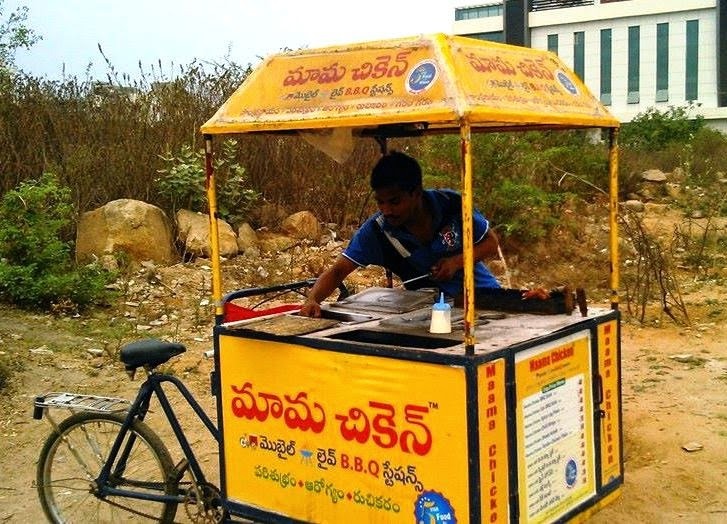 Putting an end to the expensive and lavish concept of barbecue is Midland Bakers which has started an initiative to satisfy the aam aadmi barbecue lovers of Hyderabad and to serve the food at a very nominal cost. 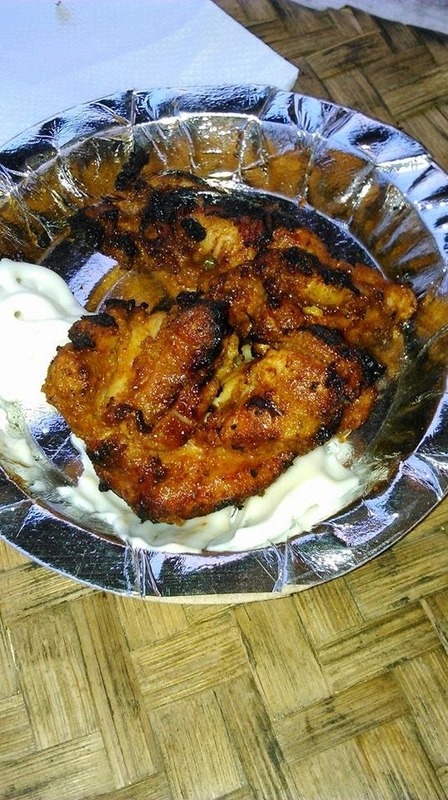 They have brought in the concept of barbecued chicken as a street food – with mobile barbecue carts stationed at different locations in the Madhapur area. 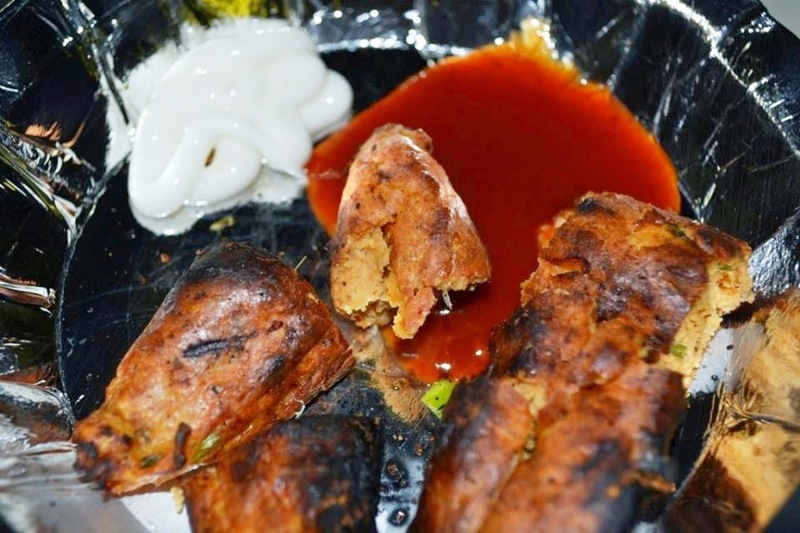 On a fine evening, I was on a street food spree in the Ayappa Society lane (one of the busiest streets of Madhapur), trying out whatever came to my attention when I happened to pass by a small joint named Maama Chicken operating from a 3 wheeled cart. I met the staff and inquired about the concept behind it and soon I ordered spicy barbecue wings and some seekh kebab to satisfy my hunger. The concept envisioned was to serve chicken barbecue as street cart food to the common folk. Their operations start from Midland bakers at around 4:30 in the evening when the carts load their coal and the marinated chicken. The coal which they carry in the cart for cooking will not cross ½ a kg for each day and the chicken will be around 3-4 kgs. They soon descend in the crowded areas of the city, trying to catch the attention of the public. Once the customers start approaching and placing the orders, they prepare the food in a flash. Depending on the size of coal and the meat, the cooking time varies. The initial startup takes up to 10-15 minutes and then there is a continuous uninterrupted service thereon. Their menu has with bone and boneless items. 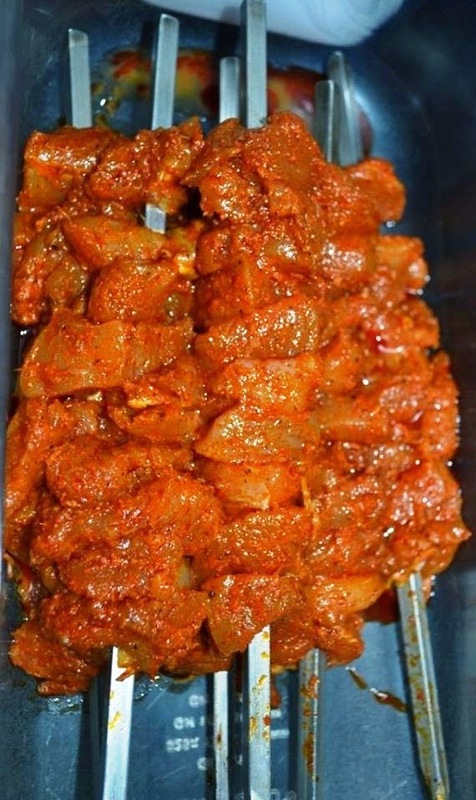 The meat is prepared to an optimum tenderness and then marinated in a BBQ sauce along with some other ingredients which is not revealed for secrecy. The barbecue is done in front of the customers and the items are delivered on a paper plate with a touch of mayo and some barbeque sauce. 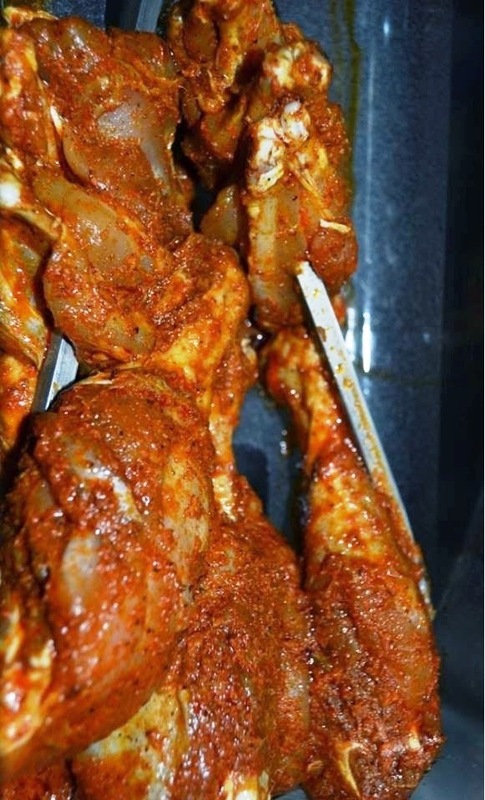 The barbeque sauce is very sweet and spicy to make the chicken taste even better. 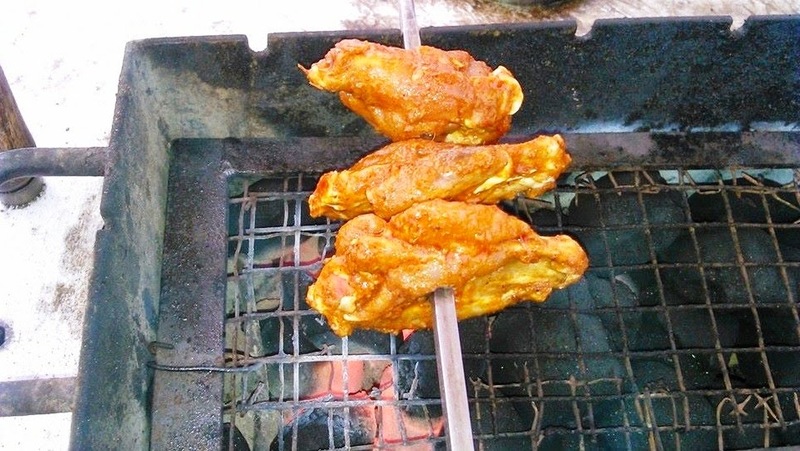 When it comes to food and its preparation, they offer only chicken for the customers as other meat preparation is often time consuming especially when cooked on coal in an open air environment. 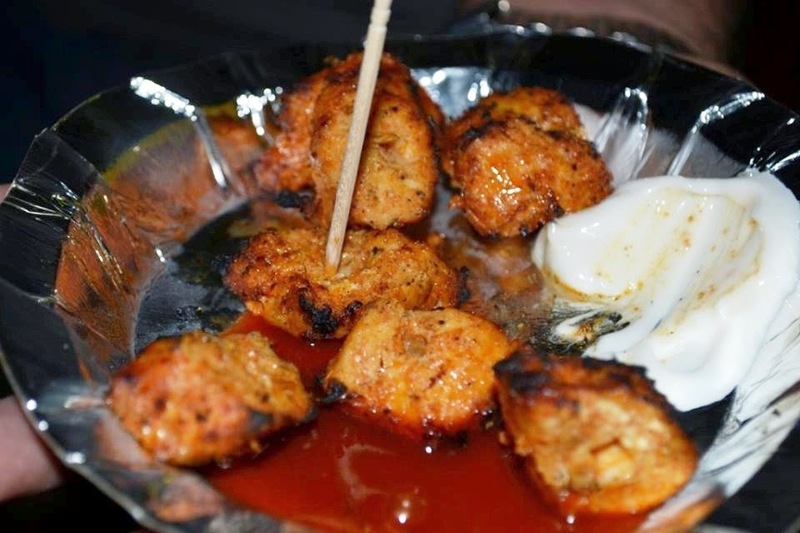 They serve many varieties of Chicken based offerings such as BBQ sticks, BBQ wings, Chicken Chili Wings, Chicken Seekh and Chicken Tikka, spicy leg pieces and nuggets. 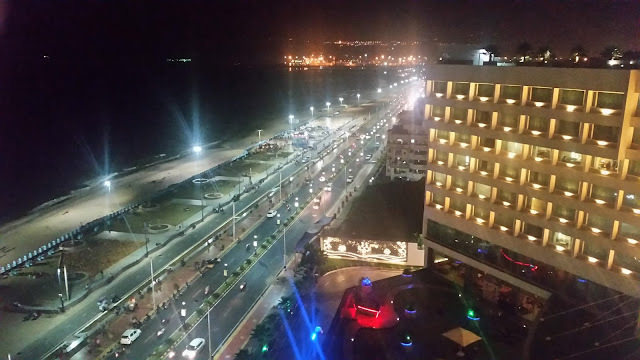 They are the busiest during the winters and shut shop by 7:30 or 8 in the evening. They also serve for the huge gatherings and parties on order. 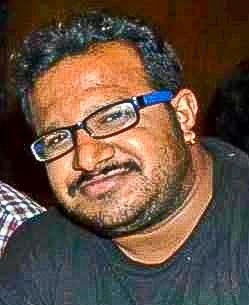 The total per head cost may go up to Rs.300 for a no nonsense all you can eat buffet. This pricing is extremely economical and the dishes are as tasty as any other high end barbecue restaurants. 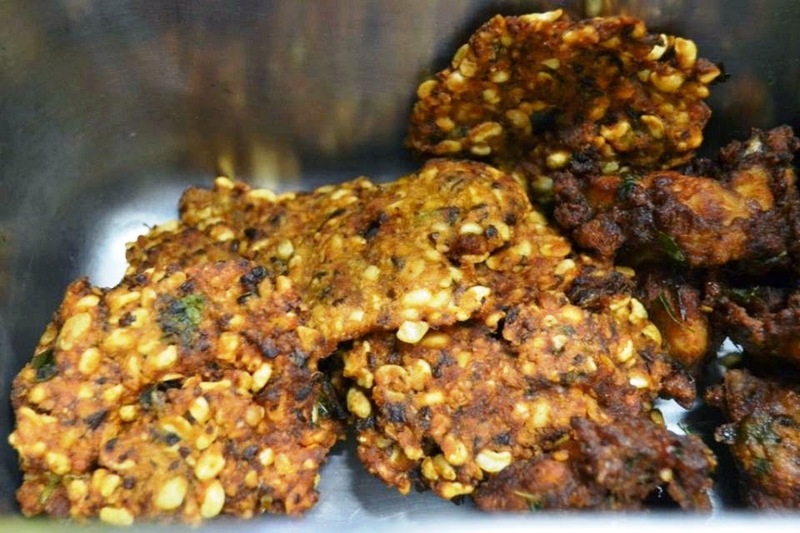 They have also received the best street food on cart from Andhra Pradesh Tourism for 2013. Generally the carts stand close to the mentioned locations. They can be identified by their unique cart type and color. any contact number of these carts?